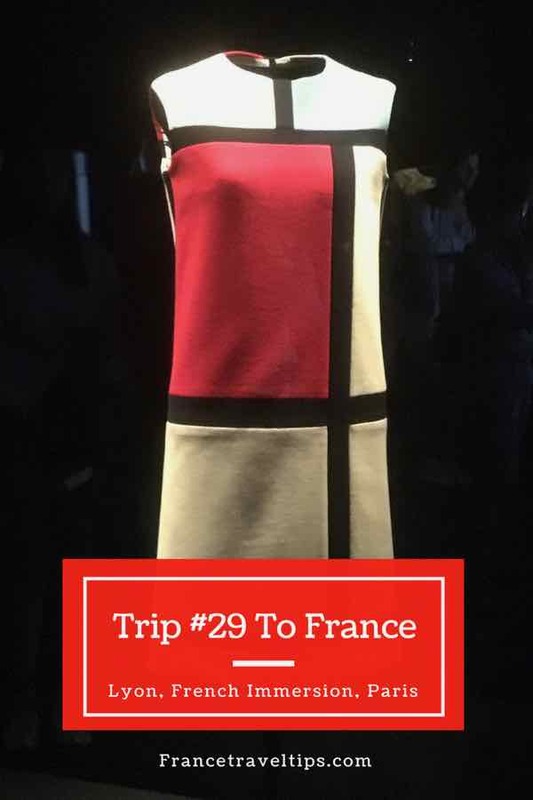 I will have more in-depth write-ups on many of these activities, so be sure you check back to Trip #29 for the details and links to the posts. The trip began with a flight to Lyon. I bought my ticket to travel from the Lyon airport to Lyon’s Part Dieu rail station in advance. 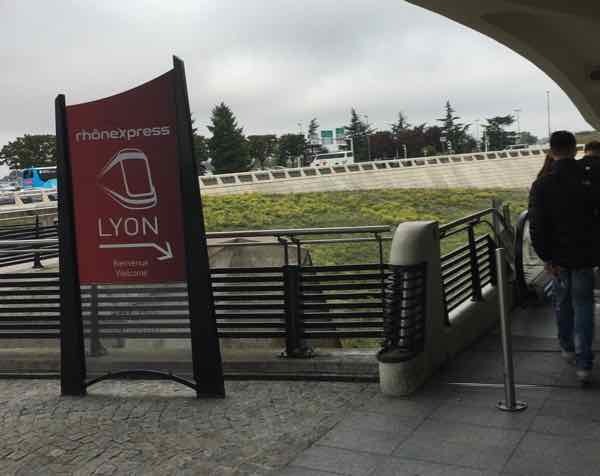 It’s with Rhone Express and the cost was 14.7 Euros (online) and is the easiest and cheapest way to get into town, taking only 30 minutes. I purposely chose a hotel near Lyon Part Dieu so I could just walk to my hotel and back when it was time to travel to my next destination. The Ibis Lyon Part Dieu Les Halles was a great, inexpensive hotel that I highly recommend. I only paid 67 Euros (not including breakfast). 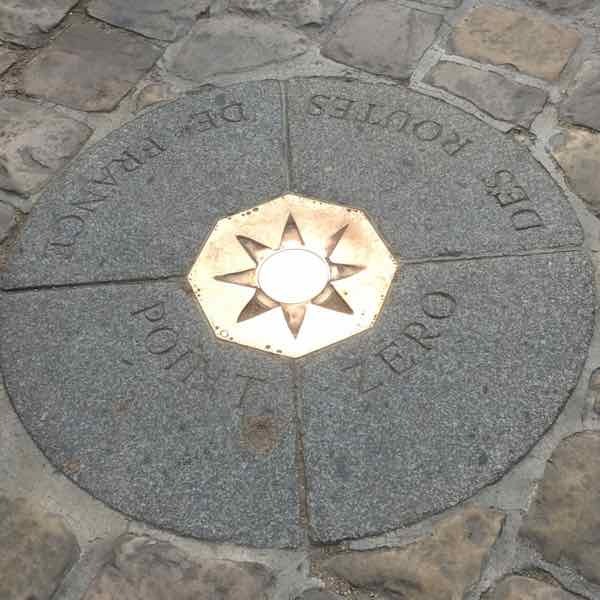 The next day, I took the train to Roanne and then a cab to Ecole de Trois Ponts where I had enrolled in French Immersion classes and afternoon countryside walks (in French). 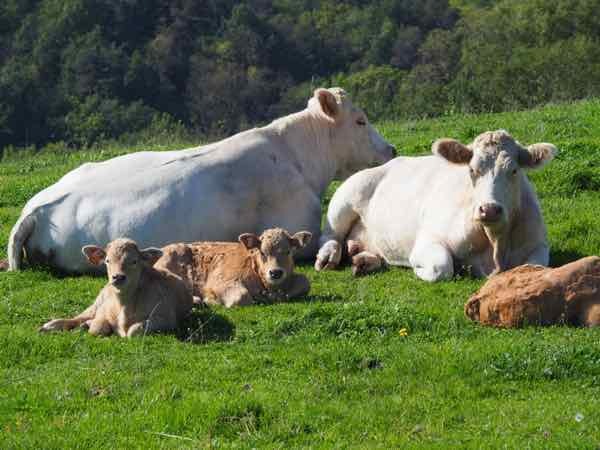 Yes, we saw a lot of cows! 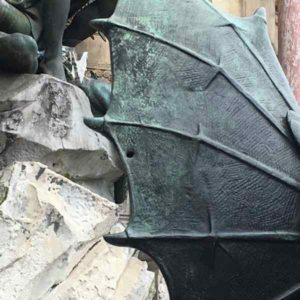 I wrote about my experience there in this post: What To Expect When You Take A French Immersion Course In France. 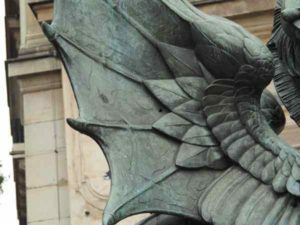 If you’re interested in reading about my other experiences at this school, check out: My Experience Learning French At Ecole des Trois Ponts. 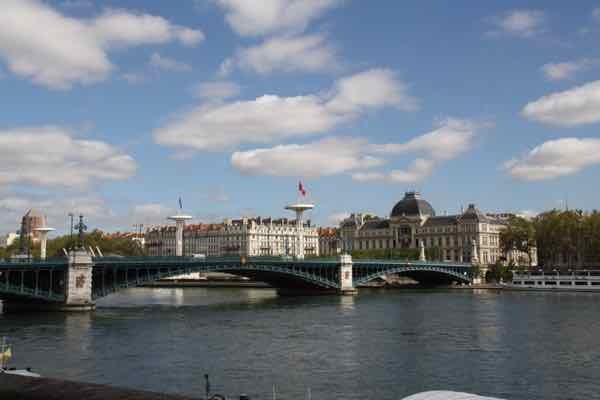 After a week at the French school, I took the train to Paris (via Lyon). 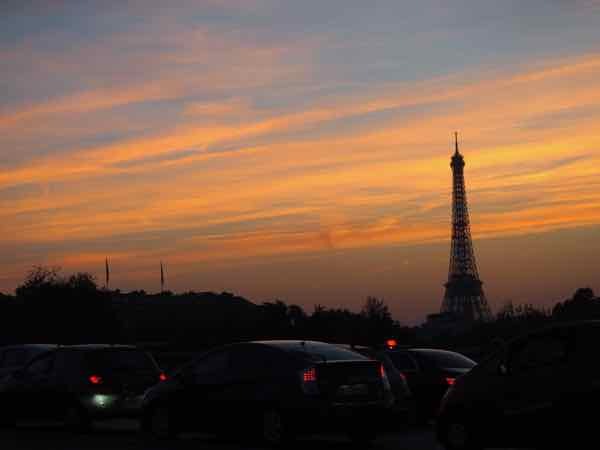 If you’re looking for some new or different things to do in Paris, have a look at this list. 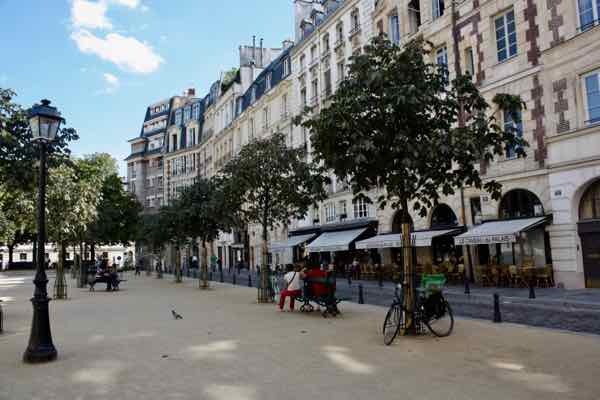 It has a bit of everything: drinks before dinner, dining, shopping, museums, more photography, seeing historical sites, and attending an annual event in Montmartre. 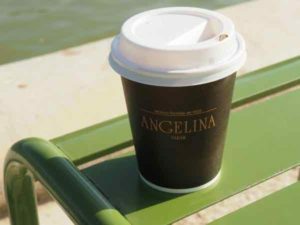 Hot chocolate from Angelina’s (not my first and won’t be my last). Yes you can do “take out”. 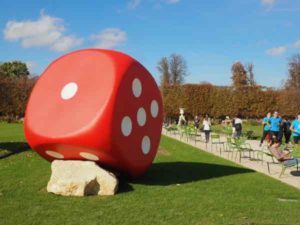 I relaxed in the Tuileries Gardens where there were many pieces of art on display….some fun ones too! 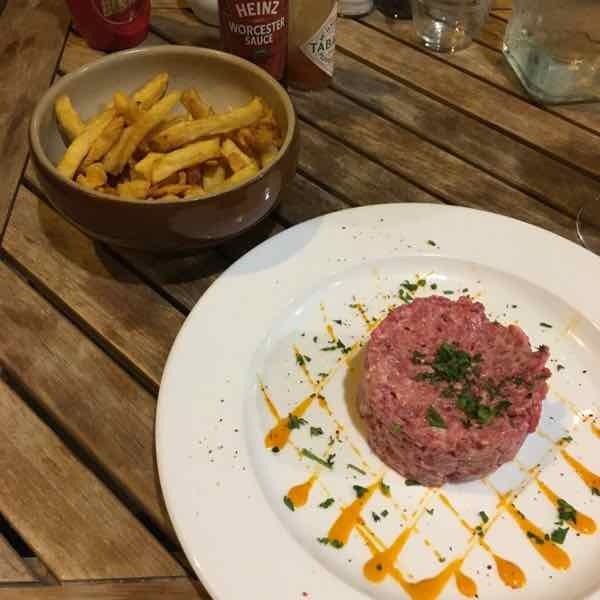 Steak Tartare (for the first time) at Les Pipos—-delish! 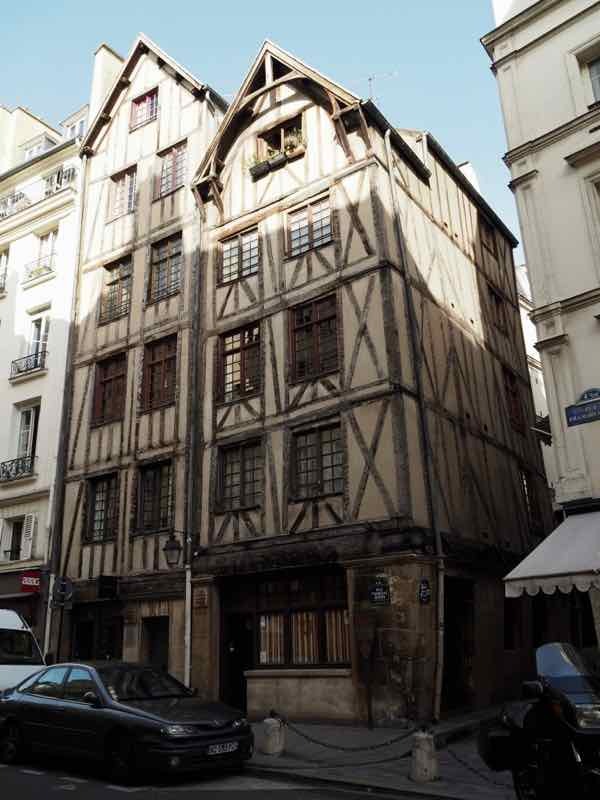 Les Pipos is located in the 5th arrondissement on 2 Rue de l’École Polytechnique. 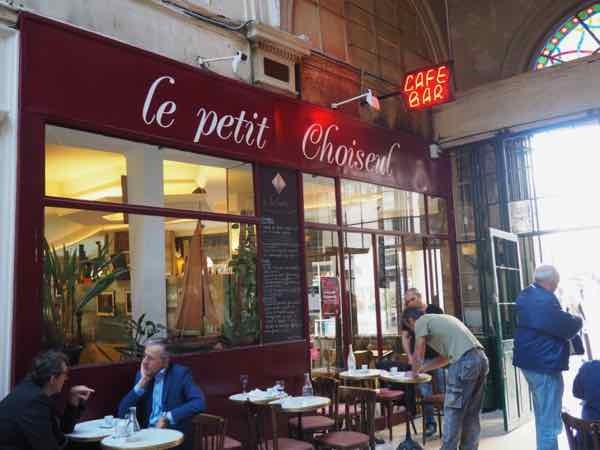 Lunch at Le Petit Choiseul after walking through Passages du Choiseul (near Palais-Royal). 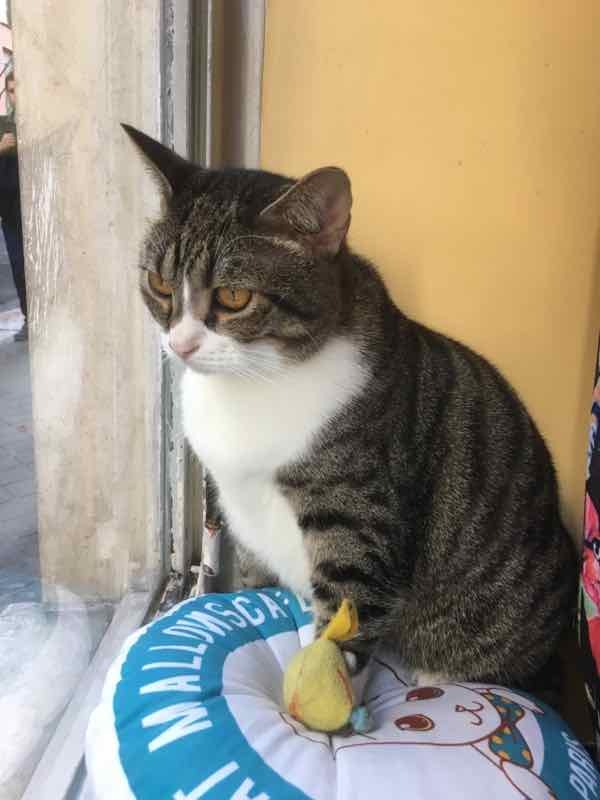 Dessert at the cat café called “Chats Mallow (30 Rue des Volontaires in the 15e arr). 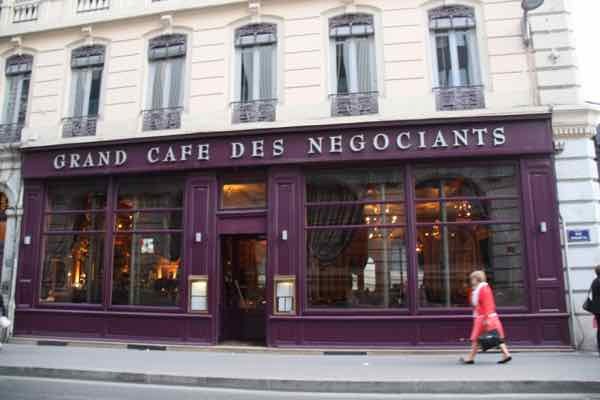 To be honest, I much preferred, “Le Café des Chats” that I visited in 2013—-just a better atmosphere. 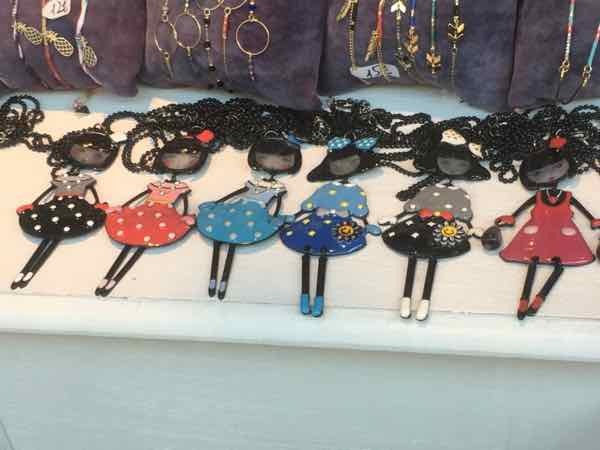 Visited Ly et Lys, a boutique on 43 Rue Monge that has really cute necklaces. I purchased one for a friend who was taking care of my cat. Discovered the bullet holes from WWII in the St. Michel fountain. 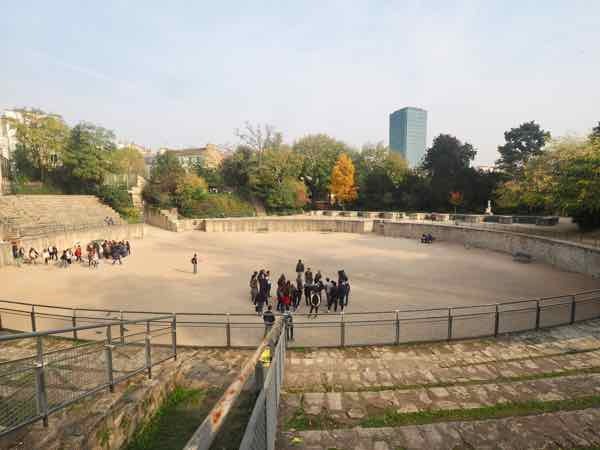 Finally visited Arènes de Lutèce, an amphitheatre from the Gallo-Roman times of the 1st century. 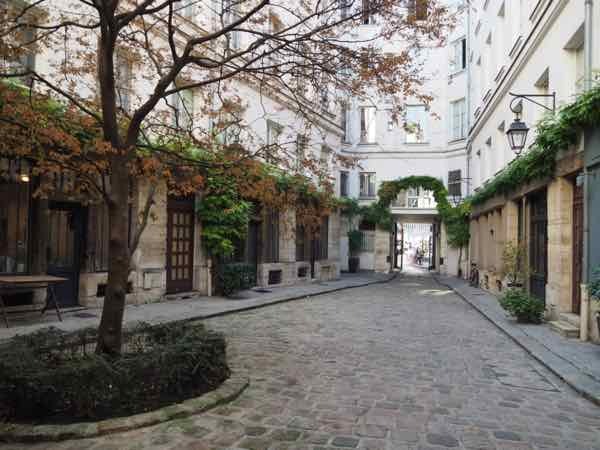 It can be found just off Rue Monge. 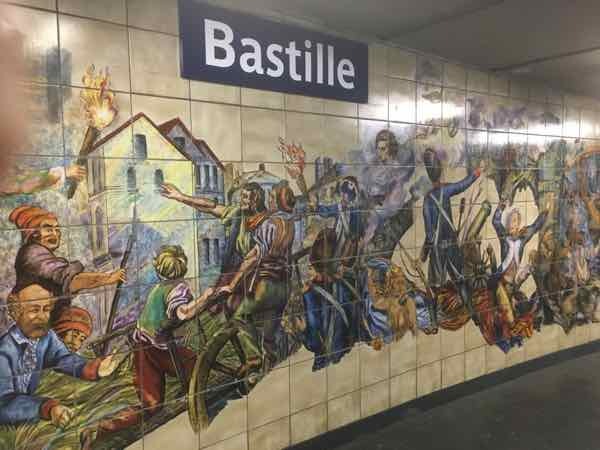 I also found Passage du Chantier near the Bastille. 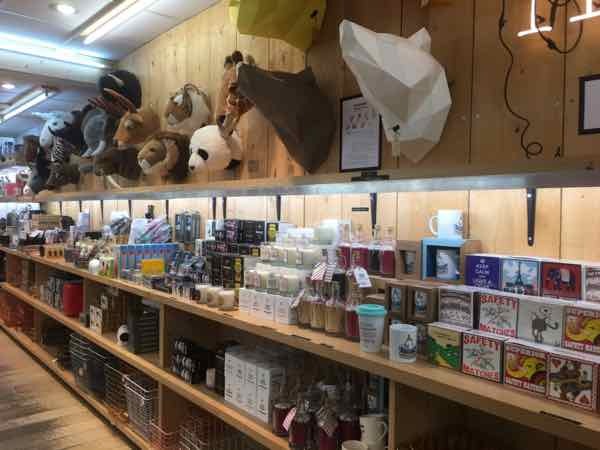 It is known for having long established furniture stores. I found the passageway to be a bit disappointing. 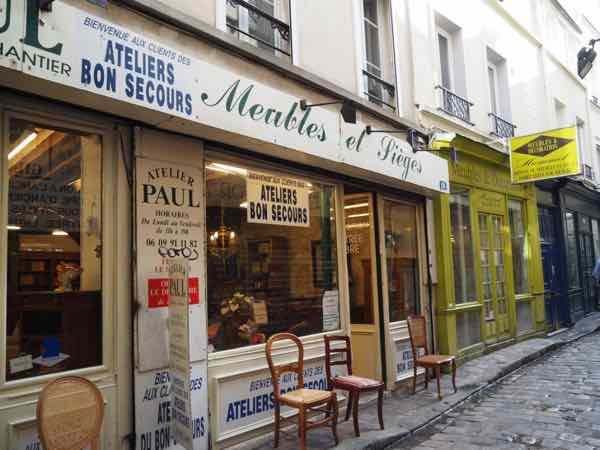 Took a tour with Paris Greeters–in the area of the Ternes district (17th arrondissement). Learned so much about the history of this area. 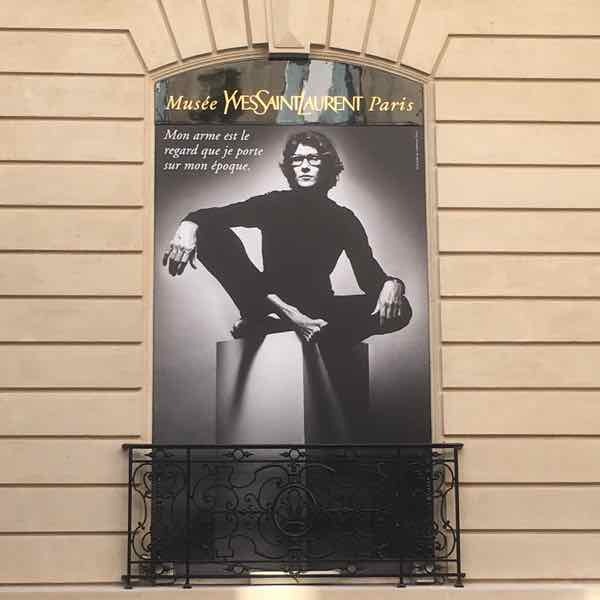 Visited the Yves Saint-Laurent Museum that had recently just opened. Amazing fashions that have made history. 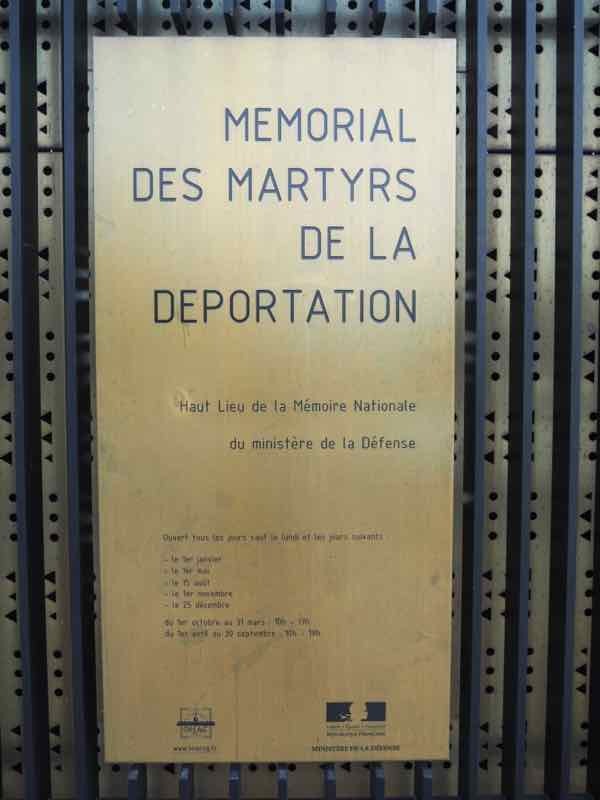 Visited the (free) Deportation Museum (Mémorial des Martyrs de la Déportation) near Notre Dame. It is a very moving memorial to the 200,000 people who were deported from Vichy France to the Nazi concentration camps. The experience is very powerful and sobering. You learn a lot about the Holocaust and it is very thought-provoking. 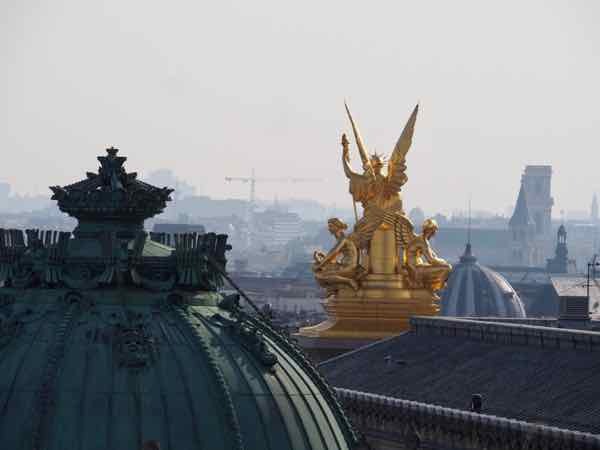 Photographed Paris from the terrace at Galeries Lafayette. My photographs would be better if it hadn’t been so overcast. I also think the views from Printemps (Haussmann location) are better. 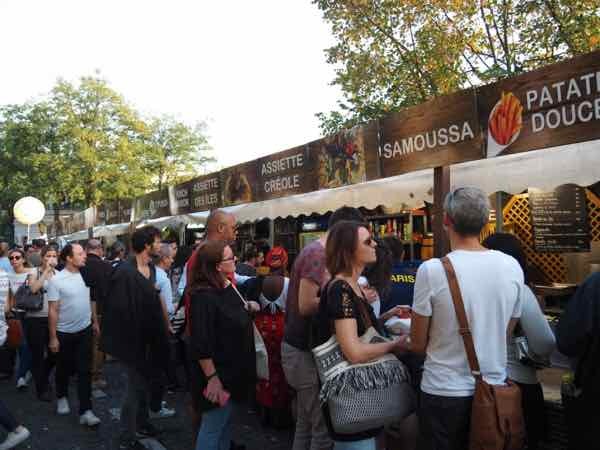 Attended the Fête des Vendanges in Montmartre: so many vendors selling food and wine. It’s an annual 5 day festival held in October, celebrating the wine harvest…yes, in Montmartre. So perhaps you can understand why I keep returning to Paris. There are so many interesting sites to see, places to eat, and foods to try. Stay tuned for more posts about some of these places and experiences!